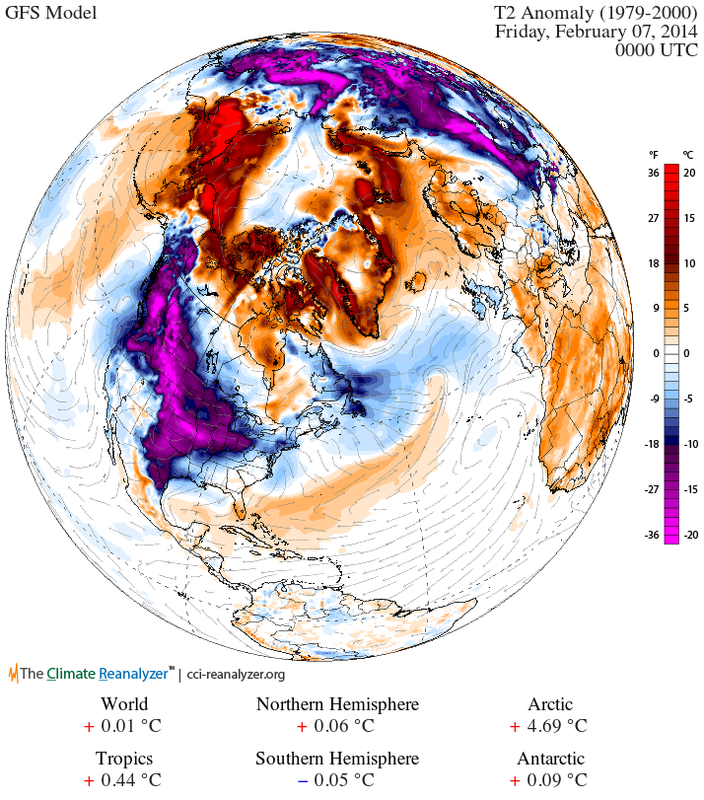 While we have watched the Arctic warm to very high anomalies, that will reverse during the next week as a blast of Siberian cold washed over the pole and into North America. The result, by February 7-9 will be anomalies as much as 35 degrees F below normal into Northern Mexico. 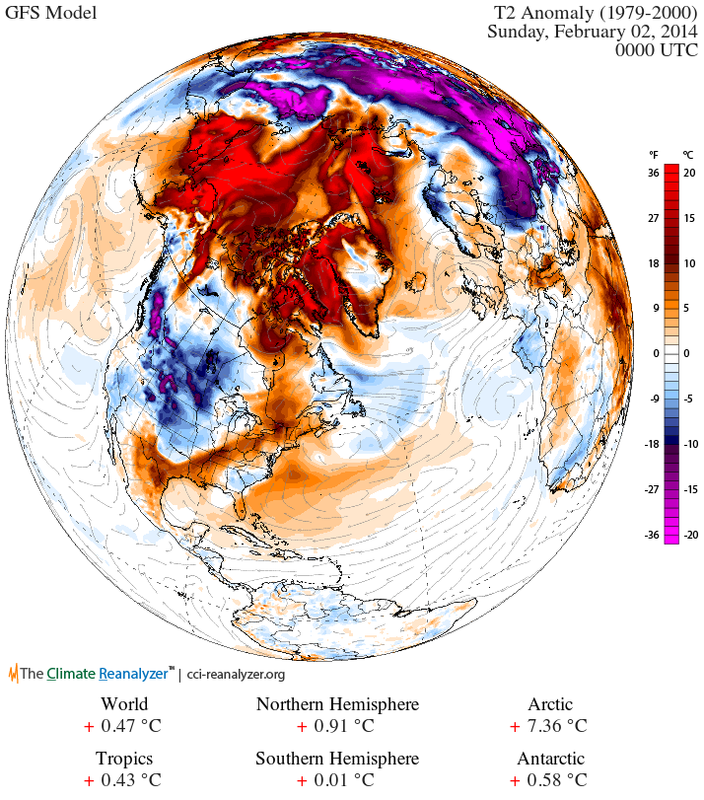 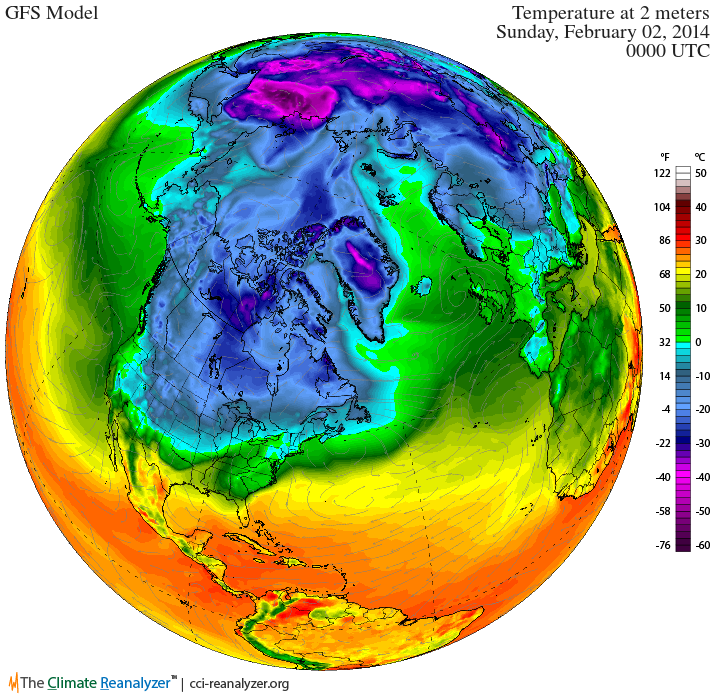 February 2, 2014 colder temps were blocked over Siberia, while warm anomalies dominate the Arctic. 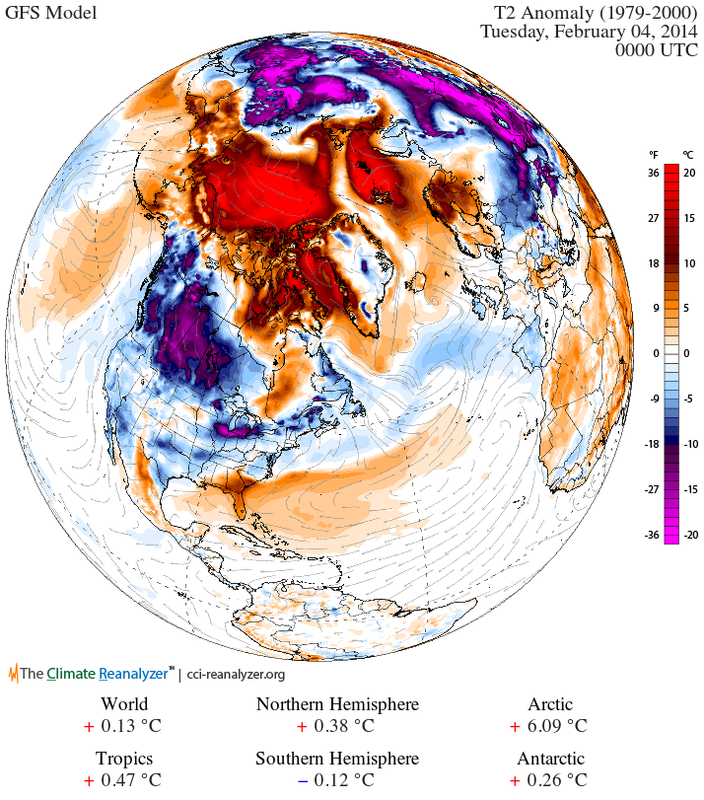 On February 3, there is another wave of warmer temps moving across eastern Siberia, and into the ESS, however, this sets the stage for the rush of Siberian cold back over the NP that begins on February 4. 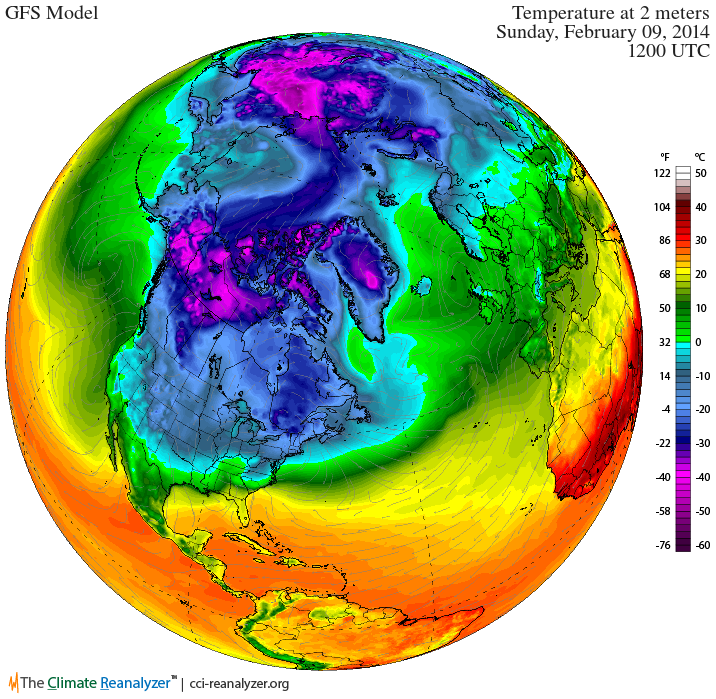 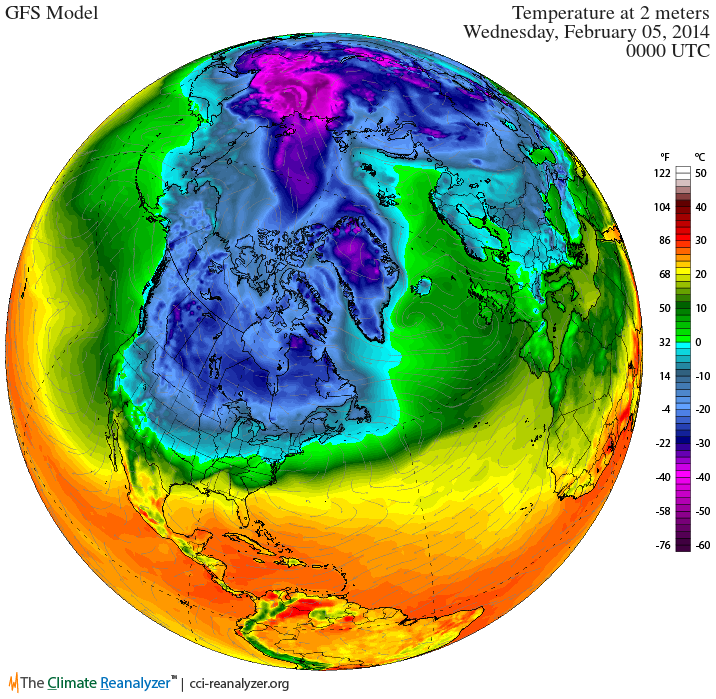 By February 7th, the first torrent of Siberian cold is about ready to cross the U.S. border. The Siberian are flow will eliminate the extreme warm anomaly from the CAB - but only temporarily. 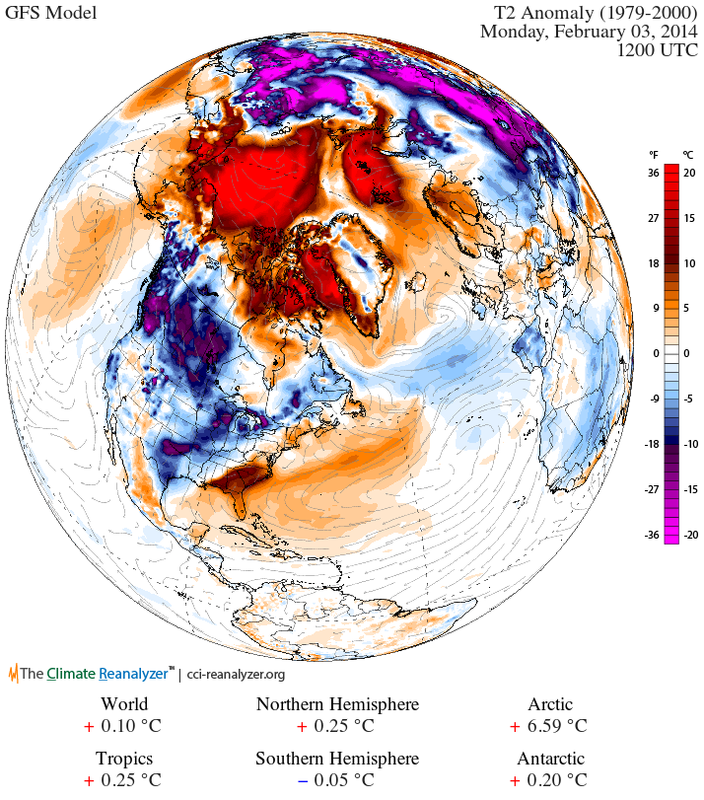 By February 8th, the Siberian Express is impeded by a new influx of warm temperature anomalies from the North Pacific, moving into eastern Siberia. But the rush of cold air across the CAB will continue. 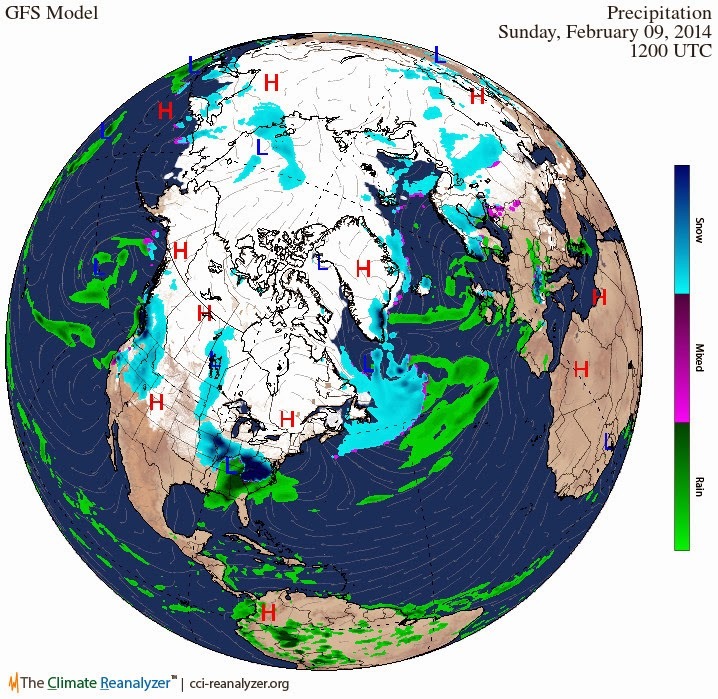 One result will be more snow for the US, including significant snow and rain forecast for northern California as a low brings moisture into the Western US. Even more dramatic is the GFS forecast of a major snow and rain event in the Eastern by February 9, 2014 1200Z. 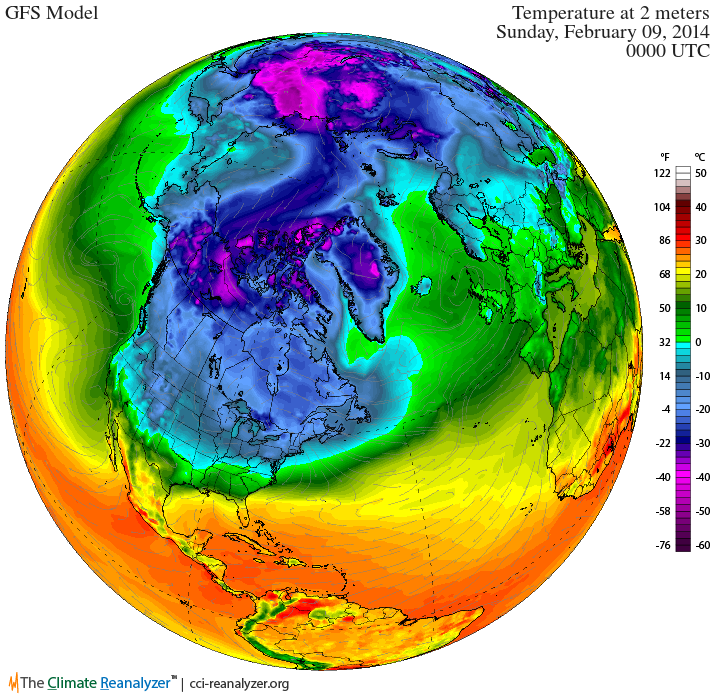 It seems the pattern we have been seeing will have a brief break before returning to the warmer Arctic anomalies of the last few weeks.